Plantar Fasciitis? Maybe Not, So Don't Ice It! If you're an athlete who is training hard, you may have experienced the stabbing pain in the bottom of your foot. 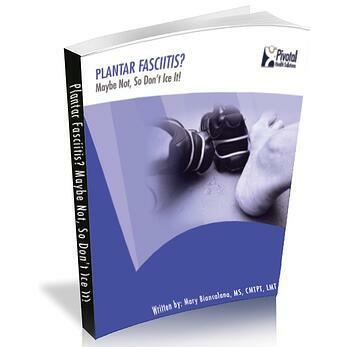 When pain is felt in the bottom of the foot, the most common diagnosis is plantar fasciitis. Is it actually plantar fasciitis? Maybe not! So before you begin treating your foot pain with a cold pack, take a hard look at all of the possible causes of your foot pain in the bottom of your foot and try to eliminate those reasons! Since we know you'll love our infographic, download our Plantar Fasciitis eBook to learn more about foot pain, trigger points and plantar fasciitis!